all your dry blending and packaging needs. Ticket Sales for the Roses are Green Bus Tour are now completed !! And look below for good information on purchasing Rose Bowl Tickets. Please don't call or send emails :) If any more seats become available because of cancellations I will post information here. Thanks for understanding, Go Green !!!! 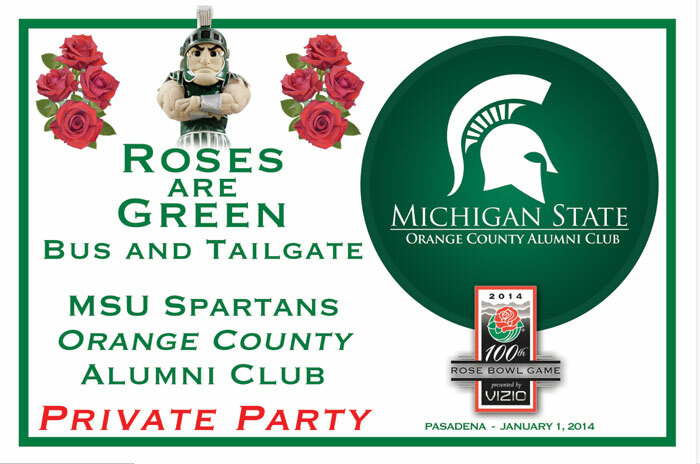 Update January 2, 2014 - Many thanks to all the Spartan faithful who made the Roses are Green Trip & Tailgate such a rousing success !! Thanks to Craig & Keith, Bill, Chris, Stephanie, Aimee, Karl, Himanshu, Michelle, Frank, Patrick and all the rest who helped make this the BEST ROSE BOWL EVER !! Click Here for the article from the Lansing State Journal. Click Here for the article from the Detroit News. Click Here for the article from the Newport Beach Daily Pilot. Lost items and questions: We picked up a few things from the buses, from around the Tailgate Party etc. If you are missing something or have questions send us an email at bustour@msuOCspartans.org and we'll check it out. Update Tuesday, December 31 - Bus riders, you should have received a Boarding Pass email sent to your Paypal email accounts early Monday morning. If you did not receive it, Click Here for an example and get to the Fairmont Hotel at 7:30am for your Bus assignment. Buses leave at 8am sharp !!! All buses are pre-assigned, just like the airlines, and everyone must get on the correct one, as all buses are completely full. Tailgate Party Location - When we arrive at the Rose Bowl, we will verify the Tailgate location and then put a message on 949.385.2228 with directions and landmarks. It's a zoo up there, so call that number 949.385.2228 and look for 2 huge Hello Kitty balloons. Update Sunday, December 22 - Working on an email epistle to send to all Bus Ticket Holders, with all detailed information. Presale walkin Tickets will be on sale near the end of this week, after Christmas. Meeting with the Fairmont Hotel Monday to discuss logistics and finalize departure and return plans. Book rooms at the Fairmont Hotel and roll over to the Roses are Green Bus in the morning. We will accept cancellations and issue refunds until Thursday, December 26 and we do have a waiting list. Read more information below, I'll be posting regularly. Update Saturday, December 21 - Everything is coming up Roses !! Game Tickets are much more available now, and the prices have abated somewhat, mostly for Endzone Tickets. Sideline Tickets (40% of the RB is Sideline, 60% Endzone) have not changed very much. So watch your Ticket sources carefully, and shop wisely, my friends. We will be leaving and returning from the Fairmont Hotel in Newport Beach. You can park your cars there at no charge for the day, courtesy of Karl Kruger the MSU-grad GM at Fairmont (thanks Karl ! ), just get them out by midnight. Rooms are available at the Fairmont for New Years Eve, and more information is below. Roses are Green Bus Tickets are still Sold Out. If anyone wants to cancel, we have a (lengthy) waiting list and we will accept cancellations through December 26. Just email me with your request and I will handle it. Many people have asked if they can have friends join them at the Tailgate. We have calculated that we have room for food and drink for 60 more people, and those Tickets will go on sale next week. It will be $35 per person for all the food and drinks they want, and $40 cash at the "door" if any spots are available. We will send out an email to the troops with details. We need a volunteer Cook, and also a volunteer Bartender to help with the Tailgate Party. I will refund their Ticket for anyone who volunteers, helps us setup there and works it for 2 hours - better than our bringing help along. Pls send me an email at BusTour@msuOCspartans.org if interested. Update Wednesday morning, 12/18 - Everything is on Target for a terrific time at the Rose Bowl in 2 weeks !!! The demand for the Bus and Tailgate Party remains strong, and there are no extra tickets available. If any pop up due to cancellations etc., we will post it here. Any oversells and refunds have been processed. We need a volunteer Cook, and also a volunteer Bartender to help with the Tailgate Party. I will refund their Ticket for anyone who volunteers, helps us setup there and works it for 2 hours - better than bringing help along. Pls send me an email at BusTour@msuOCspartans.org if interested. I will send out an email soon to Ticketholders with more specific information. No rush on that, it's just general information and we want to have everything in one email place. Please see the FAQ section below for answers to many questions, and I'm adding to that as questions are received. My apologies to the dozens and dozens of people who emailed, texted and called about getting tickets, and I couldn't answer you, thanks for your understanding. We are full with 4 buses and 200 Spartan riders, Great Green OC Spartan Family working together !!! MSU OC Spartans, we have set up "Roses are Green" buses to take us all the Rose Bowl Game !! Every year the Big Ten Club's Rep does this for the team that comes out, this year it's my turn, and we know just how to do it right. We'll be leaving from the John Wayne Airport area and enjoy food and beverages both ways, a full on scrumptious MI Tailgate Party, pep and victory rally, plenty of Spartan camaraderie and many surprises !! Don't fight that awful traffic and park two miles away, come join the Spartan fun !! Here's the deal. We tried to keep the Bus Tour costs down as much as we could for the locals. The Bus rentals are sky-high for Rose Bowl, parking is $300 per bus, food and lotsa drinks... it costs $50 pp just for that. Then we gotta rent tables, pay servers, etc. so this is pretty much a push for us. But we are going to have a terrific great time riding this luxury coach and watching MSU pound Stanford !!! I also managed to get a third bus, and we are trying for more. The MSU Alumni Tailgate Party is $85 and you get just one drink ticket, then you wait in a long line for a hamburger or chicken sammy. Nobody does that twice, ask any of the Chapter locals. That's one of the big reasons we are doing our own. 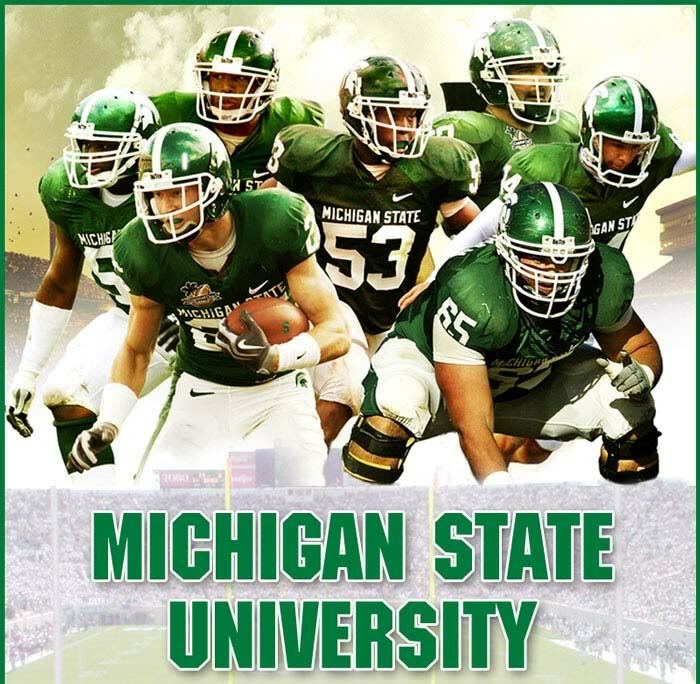 The MSU EL Alum Tailgate Party is now sold out. We did it, Michigan State in the Rose Bowl !!! And you can join the Big Green Spartan Family from Orange County for a full day of fun on the Roses are Green Bus Tour to the Rose Bowl !!! We will be leaving from a spot close to John Wayne Airport, get your Tickets below. Demand is very strong for everything Rose Bowl, and the buses will sell out well before the Game... get on it NOW !! ~ As you can imagine, many people are looking for Game Tickets right after our win v. Ohio State, and they are hard to find now. That's because the University controls the distribution for a few more days. But Tickets become available from the corporate worlds, sponsors, former athletes, teachers, clubs like the Big Ten Club, Pasadena residents, from people who's plans have changed and a host of other secondary sources. That means in 7-10 days many more tickets become available. And Stanford is a small school that doesn't travel well (warm climate) and they were there (and won) last year. So we are all forecasting many tickets floating around before Christmas. There are 92,000+ seats in that Stadium. Stanford didn't even completely purchase their allotment. Tickets are usually not the problem, it's the travel to SoCal and airfare for the distant fans, and getting through that awful traffic and parking once they are here. So wait for a little bit, and you can always go to StubHub or similar sites to checkout the ticket situation. They tend to go down in price when we get really close to the game, and it's not unusual to get lix for less than face value ($150-185) in the parking lot once the game starts. We have setup up a terrific Bus Tour to enjoy the journey to the Rose Bowl in style. Schools from the Big Ten have done Bus Trips to the Rose Bowl for years, and we share the experience. We know exactly what to do, where to go and what is needed to have a great time !! Don't fight the gridlocked traffic, pay many $$ for parking and walk two miles to the Stadium -- leave the driving to us. We'll be providing great Green Spartan Fun, and a safe way to travel to and from the game. We'll have a BBQ Tailgate Party like no other, you feast then enjoy the Game !! More Fun and Surprises !!!! Keep coming back and we'll have the latest information posted !!! Focus on Michigan State PFRB !!!! We will begin assembling at 7:00am and depart at 8:00am sharp on the Roses are Green Bus and Tailgate from the beautiful Fairmont Hotel in Newport Beach. On Rose Bowl morning, all participants should drive to the Fairmont Newport Beach front door and mention that they are a part of the MSU OC Alumni Club and exhibit some Green and White or their Rose Bowl Tickets. The Fairmont Team will direct them to the location to park as well as where the Buses will be staged nearby. Parking for the day is complimentary, courtesy of our Good Spartan and General Manager of the Fairmont, Karl Kruger. 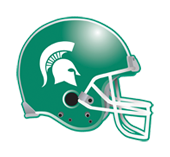 Fairmont Newport Beach congratulates Michigan State University on their football accomplishments this year and wishes the Spartans well in their quest for a Rose Bowl Championship on January 1. While you travel to and from the game make your trip more enjoyable by staying overnight at Fairmont Newport Beach or dining in our Bambu Restaurant & Lounge before or after the game. Call 800-441-1414 or go online to book your accommodations at www.Fairmont.com/newportbeach. Bus Tour and Tailgate Party HERE !! All refunds have been processed, if you did not receive one your Tickets are confirmed !! You can use any Credit Card with the Paypal system. Problems with Paypal ? Questions?? Please call 714.390.5190 or email us at service@bestOCevents.com for Fast Customer Service!! We reserve the right to refuse or refund ticket sales if event is sold out or for any other reason. REFUNDS ARE OK UNTIL DECEMBER 26, JUST CALL US OR LET US KNOW - OTHERS WANT THESE TICKETS !! - We are not going to send Tickets by mail. Please bring your receipt for check-in and wristbands on Rose Bowl Day. I will send an email to Ticketholders in a few days with full current information. - This is an all-ages event, a Private Party. No need to talk about drinking. But I don't think it's for the real little ones, maybe age 10 and above. People walking around on the Bus with drinks, etc. Teens OK for sure. - Believe it or not, I've had a few very lost souls ask if the Bus Ticket includes Rose Bowl Game Tickets. For the record, Rose Bowl Game Tickets are not included. - All you can eat and drink is included, so moderate yourselves Spartans. We want to have a good showing for both MSU and Orange County. - If you have purchased Roses are Green Bus Tour Tickets and your plans have changed for any reason, no problem refunding them, we have a waiting list of Spartan faithful ready to go. Just email or call and I'll take care of it. Last day for refunds is Thursday, December 26. - We depart/return from the exquisite Fairmont Hotel near John Wayne Airport. We will start assembling at 7:00am and leave at 8:00am sharp for the Rose Bowl. Arrive there and in place by 10am, Tailgate and run around then the game is 2:10pm kickoff. Bus leaves 1 hour after game ends, and arrives back about 8:30pm. - We would like to keep the attendees to MSU Grads and their families from Orange County/Southern California, including San Diego. They are the ones who work so hard to make the MSU Clubs here so successful. - There will be plenty of people who have TV's in the huge Stadium parking lot, watching the game. If you don't score tickets, that area is full of people who are enjoying the MSU Spirit as the game goes on. - You can bring small carrying coolers that fit under the seat, backpacks etc. on the bus. We won't be able to accomadate folding chairs, bicycles, big items like that. We need all the room in the bus storage for food and drink. - Like all the Stadiums and public gatherings, the Rose Bowl has lots of rules to insure everyone's protection and enjoyment. 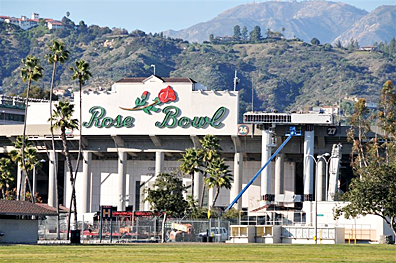 Click Here for the Rose Bowl Day Guide with all sorts of important information, do's and don'ts. - Tickets for this game are popping up everywhere. You watch, lots of tickets will be available in about a week. - See and join the MSU OC Facebook Page for lots of current information about Rose Bowl, Tickets and other OC activities. Click Here for the Page. - We can't take much extra food etc. for people who want to join the Tailgate party but don't ride the bus. Can't take a trailer in. If you have good friends who want to join us up there, send me an email and we'll try to work something out. We have a plan for this, more information later this week. More coming, email your questions in and I will add to the FAQ's. Leave your Email Address and we will send you the latest Updates on the Roses are Green Bus Tour from Orange County !! Click Here to get Updates !! !